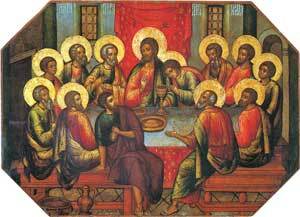 Maundy Thursday is more commonly know as Holy Thursday and occurs every Thursday before Good Friday. It commemorates Jesus' last supper with his disciples and created a ceremony known as the Eucharist. To honor this day Catholic churches don't ring their bells until Easter and many re-created the body is bread and wine is blood symbolism done by Christ. Maundy Thursday was the night that Jesus was betrayed by Judas to get crucified to the cross. It represents a huge importance in the life of Christ and became a recognized holiday in the Catholic religion.